We Check out Fat Rabbit the Latest Retro Gaming Themed Online Slot From Push Gaming! Casumo Casino has recently added the latest Push Gaming online slot to their casino titled Fat Rabbit along with Joker Strike Hi Roller (Quickspin) and the Easter Island slot from Yggdrasil Gaming. 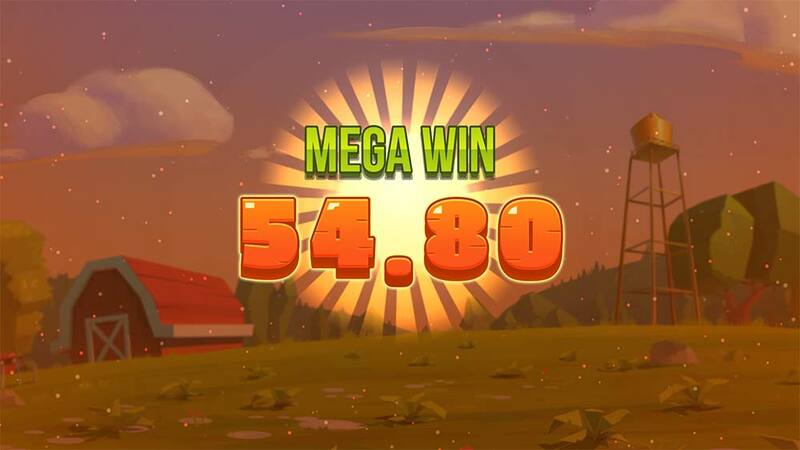 This retro-themed cartoon styled slot comes with 50 paylines and features a fat rabbit as the main character who is on the hunt for his favourite food carrots which act as the Wild symbol. The Fat Rabbit slot uses an unusual 5×5 reel layout set in a farmyard setting, fans of slots such as Thunderkicks Flame Busters will feel instantly at home with this retro 8-bit graphical style and classic computer gaming sound effects similar to Reel Rush. 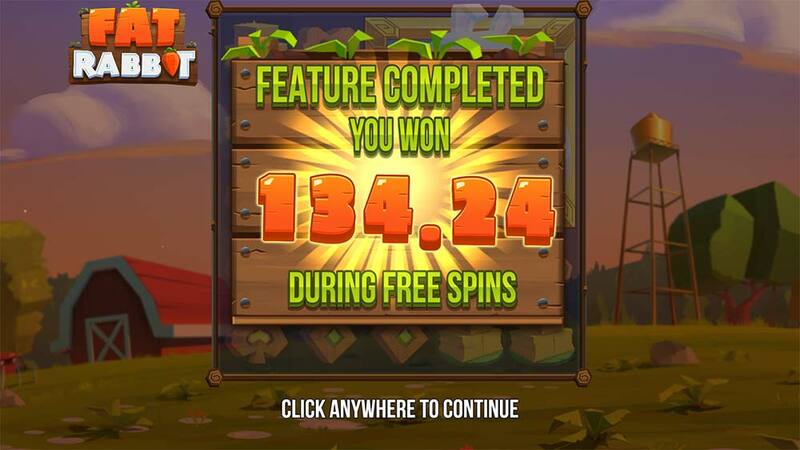 There are a number of special features which include a Harvest Feature which involves a tractor ploughing through the reels to discover a number of carrots (Wild symbols) along with a free spins bonus round where the Fat Rabbit can grow in size after eating the carrots creating a bigger wild symbol on the reels. 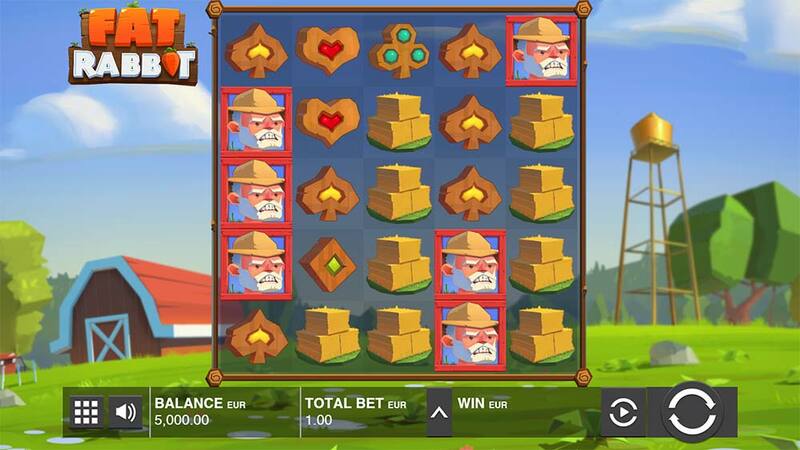 The main point to take note of is that whilst Push Gaming slots do tend to lead towards the more cartoony style in terms of design, the paytables on these slots do offer some very decent win potential and this slot is certainly capable of that if you mage to reach latter ends of the bonus feature. The Harvest Feature randomly triggers in base gameplay, a tractor then ploughs over the reels unveiling a selection of the Wild Carrot symbols on the reels. 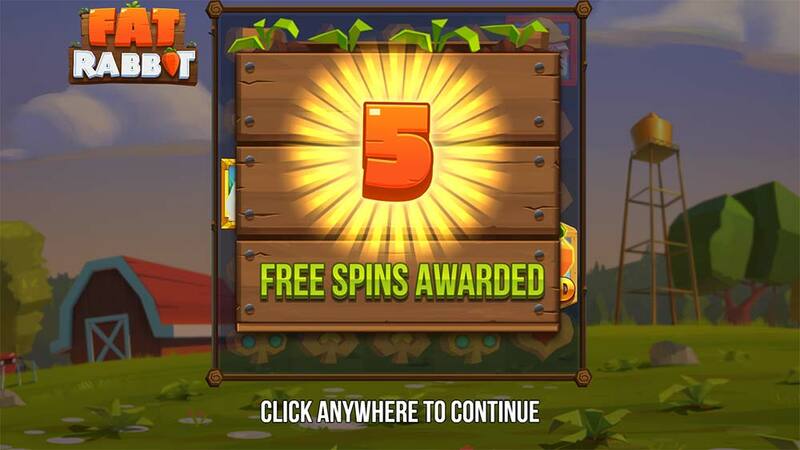 The free spins feature is triggered by landing the special Fat Rabbit symbol along with at least 1 Wild Carrot symbol on the reels (shown in the screenshots above) and grants an initial 5 free spins. 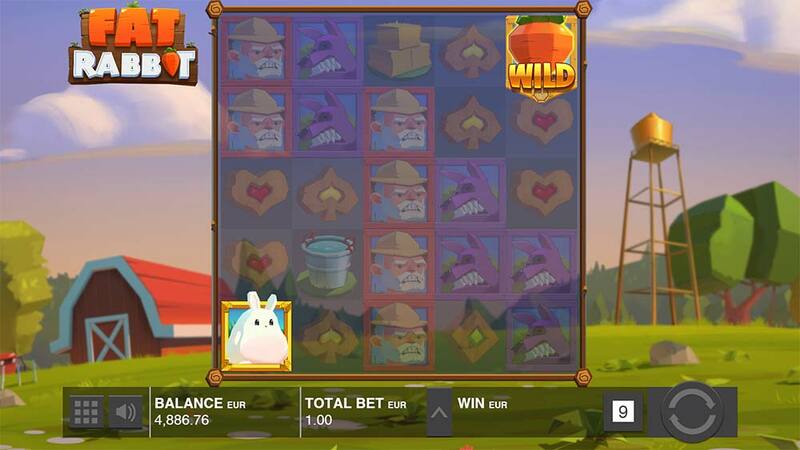 During the bonus round, you have a permanent wild symbol on the reels in the form of the Fat Rabbit, any additional Wild carrots that land in view during the free spins are eaten by the rabbit and will move the sticky wild symbol into that position for the next spin. You will notice on the right-hand side of the screen a collection meter, filling this up with carrots will cause the rabbit to enlarge in size when filled, starting with a 2×2 sized symbol and then a 3×3 wild symbol and so on. Filling up each level of this meter will also grant additional free spins. 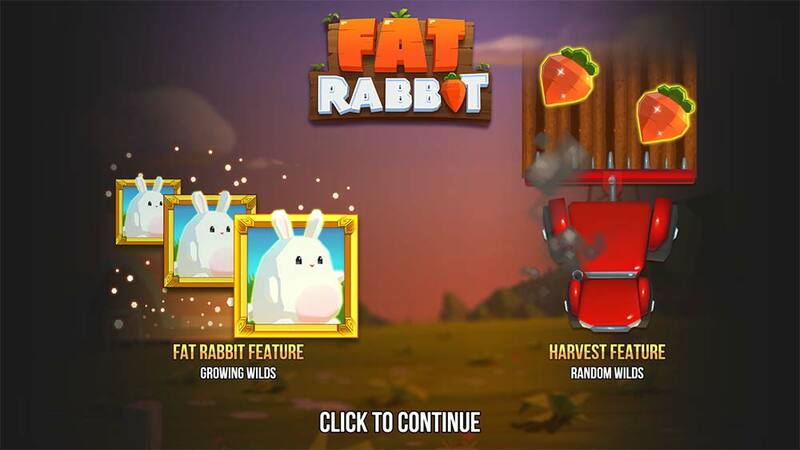 We found the Fat Rabbit slot to be a really enjoyable and potentially rewarding slot to play, the base game is fairly standard with just the Harvest Feature randomly activating with a few extra wilds but the free spins round can be very rewarding if you manage to collect lots of carrots early on. During our playtests, we managed to reach the 3rd level of the collection bonus round giving a 3×3 sticky wild Fat Rabbit symbol, with bonus end results in the range of 10x up to 150x stake. Overall a really solid release, a nice retro gaming theme and some decent win potential in the bonus round.